KMA rang in the new year with a new office and a new name. 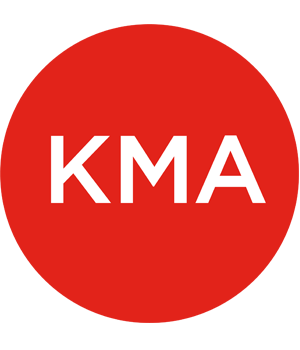 As of January 1, our firm has changed its name to simply KMA, LLC. Our newly-renovated space, designed by KMA staff, is located in the historic Bemis Mill Building at One Bridge Street, Suite A102, Newton, MA, 02458. 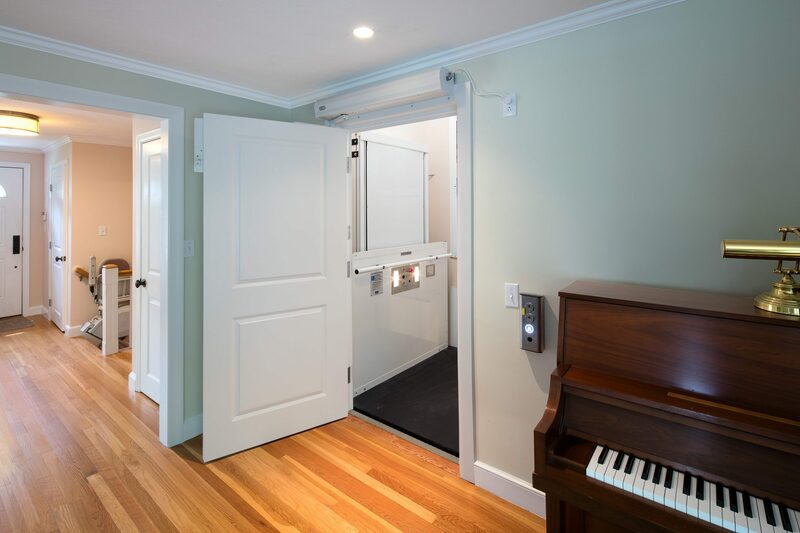 KMA recently finished a project installing a 3-stop vertical platform lift in a split-level ranch style home in Wellesley MA. The lift was necessary as one member of the family has MS. 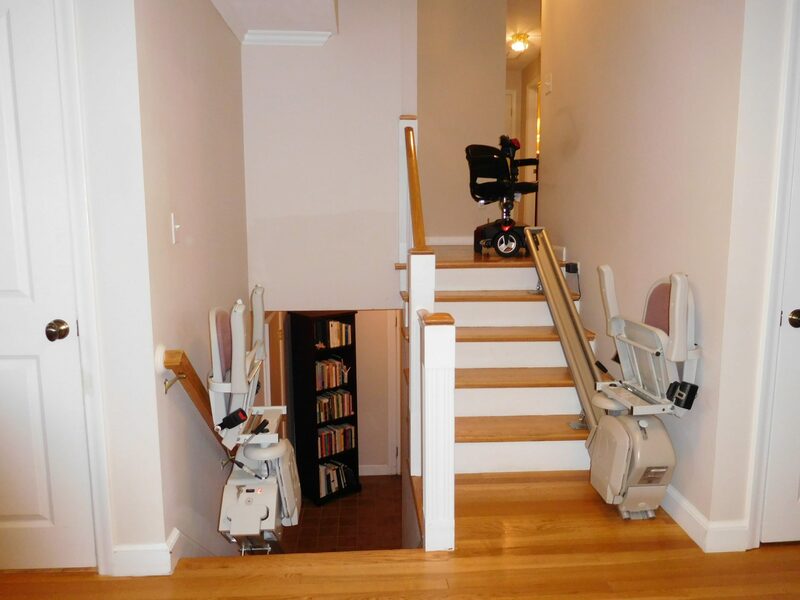 The “before” photo shows that homeowner had been using multiple stair chairs to get between the different levels of the house. The project’s goal was to sensitively insert the lift into the existing house without interfering with the view of the woods or view from the formal sitting room. 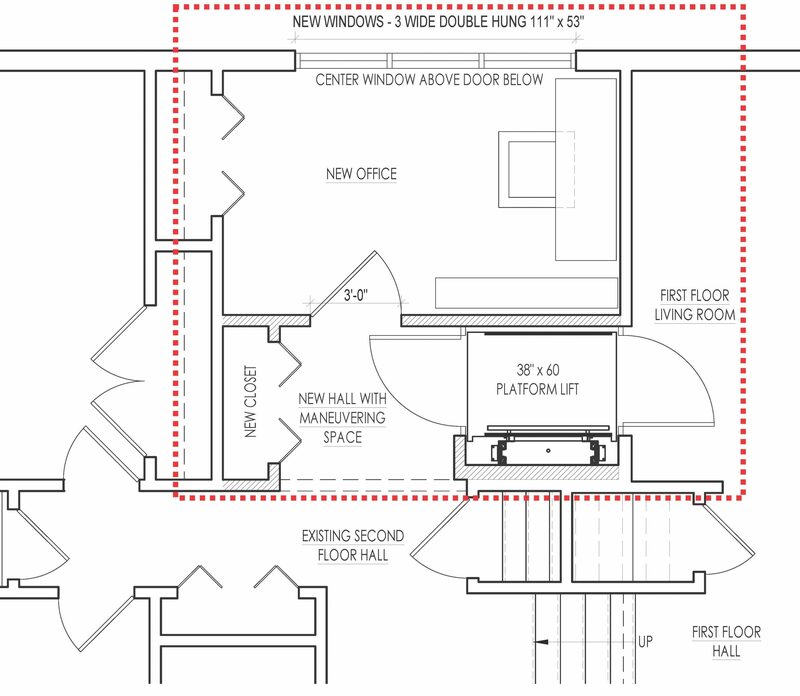 We were able to locate the shaft for the lift in the middle of the house so that the lowest level is at the garage, the next level is on the first floor at the living room, and the last stop is on the second floor near the bedrooms. KMA worked closely with D.M. Power Construction and Garaventa Lift to figure out how to use a non-standard door at the living room level that better matched the other doors in the house. 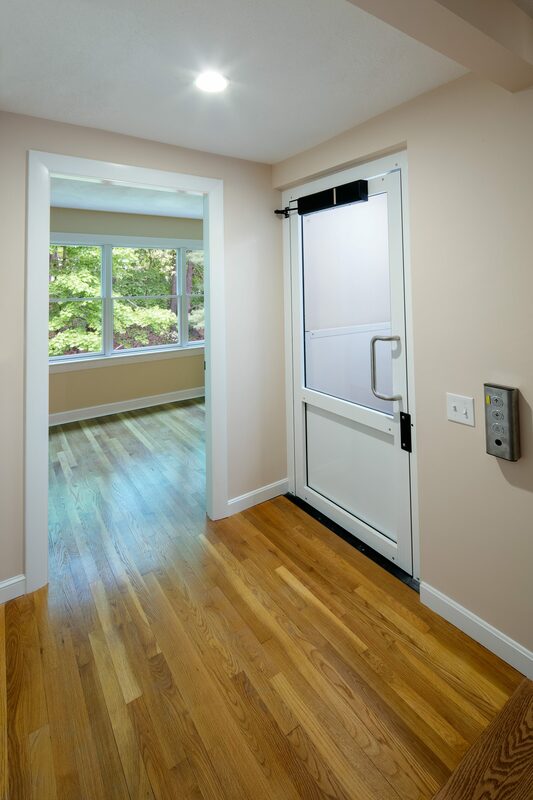 This way, in the most formal room of the house, the lift door blends in with the existing style of the room. The doors at the garage level and on the second floor are the standard Garaventa Lift doors. All the doors are on automatic openers. 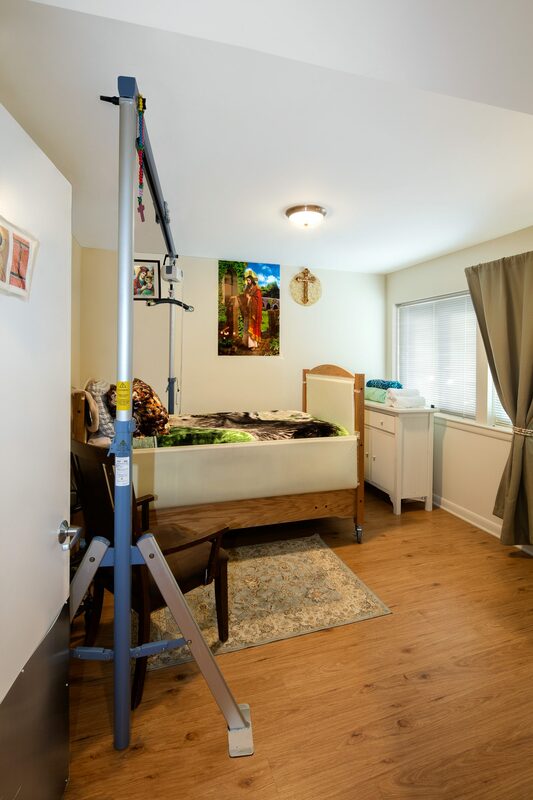 On the second floor, the space for the lift came out of an extra bedroom. 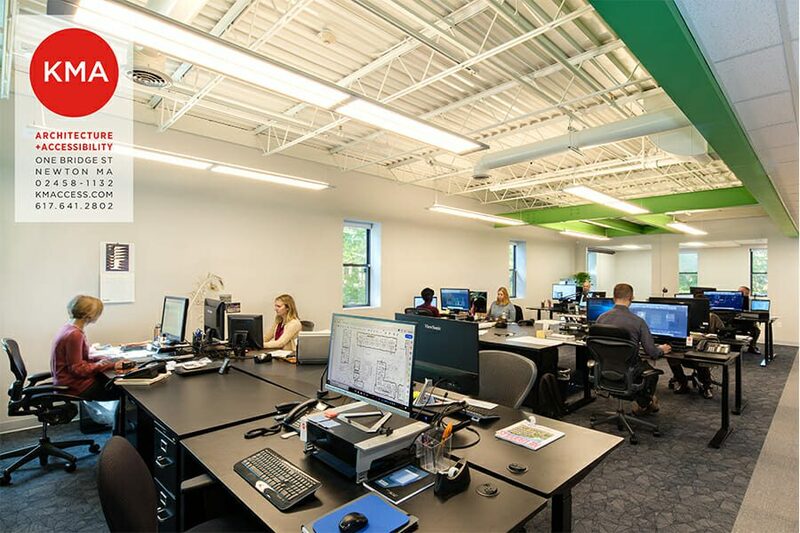 The space that was left was converted into an office and three large windows were added to take advantage of the view. 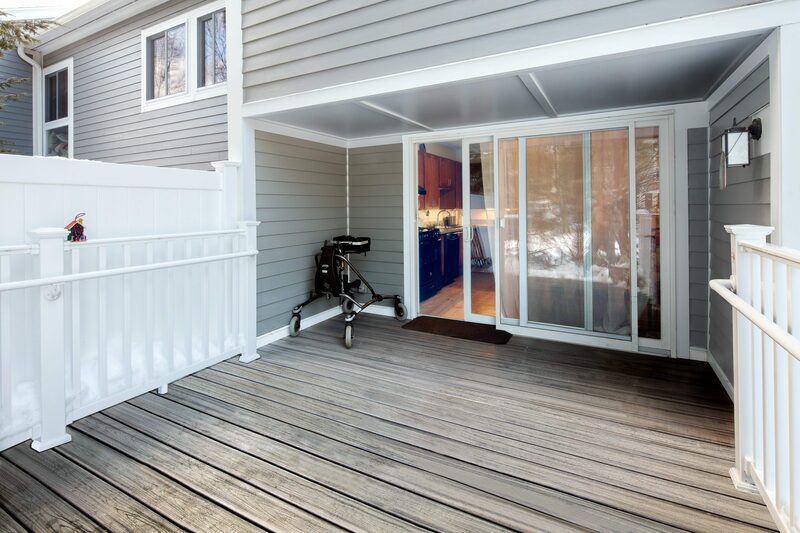 The upgrade from stair chairs to a platform lift is enormous, it gives the homeowner greater independence, saves time and allows her to freely move around all the rooms in her house, out the garage door, and into the neighborhood. We often get asked which is better, a lift or an elevator. There are pros and cons to both. In Massachusetts, the maximum level change allowed for a lift is 12 vertical feet. 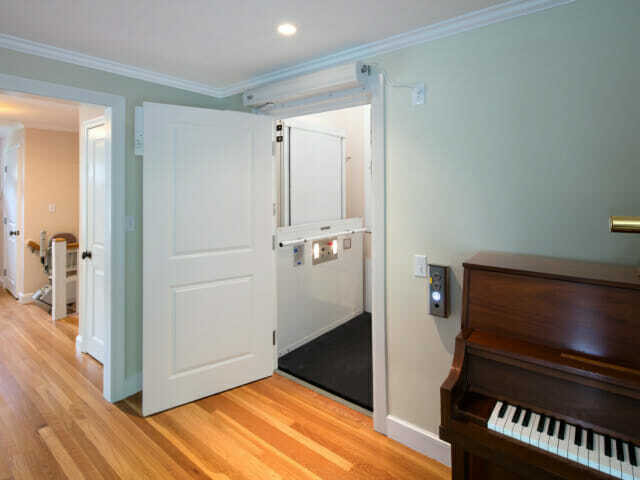 This means that a lift can really only take a person between two floors of a house. Luckily, in this case, because the house is a split level, the lift can get to all three levels. 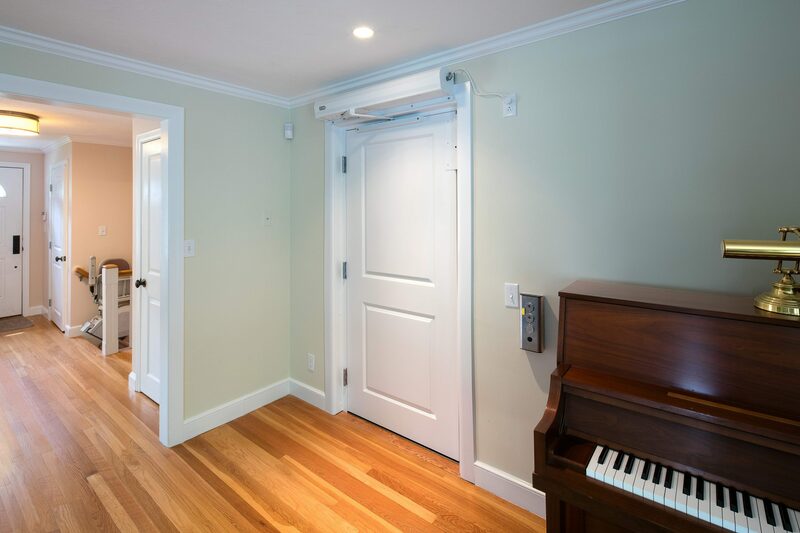 Another issue with lifts that came up in this project is that when operating a lift, the button must be held down continuously the entire time the lift is in motion. If the rider releases the button, the lift will pause where it is, even if it is between landings. The best part about lifts is the price, they are significantly more affordable than elevators. 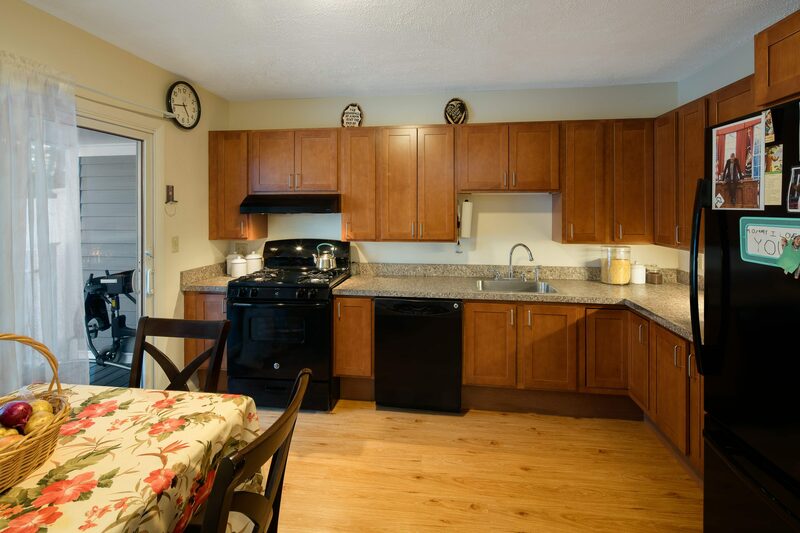 Work is complete at the Houghton Village accessible townhouse unit. 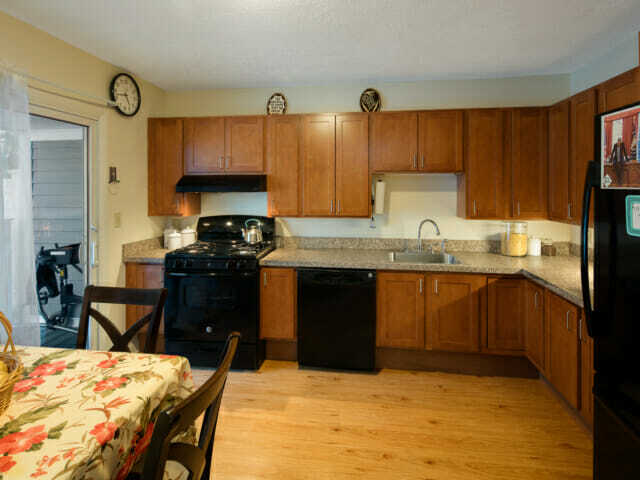 KMA designed the renovation of a 4 bedroom unit to include the following fully accessible features: a new kitchen connecting to a new back porch, a new entrance ramp, entrance hall, bedroom addition and fully accessible bathroom. 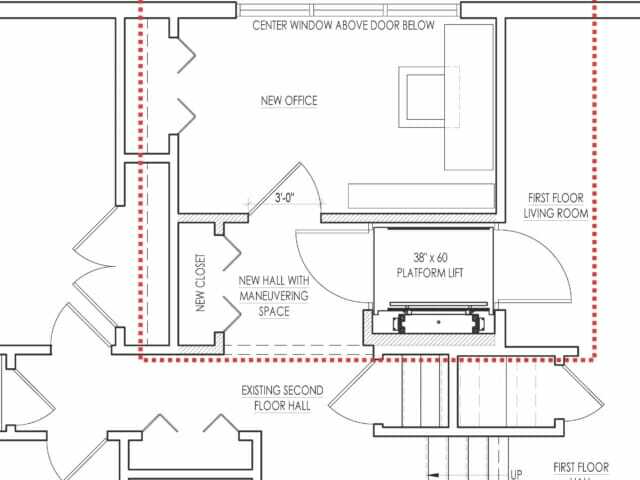 These changes allow for the first floor of the unit to be fully accessible. 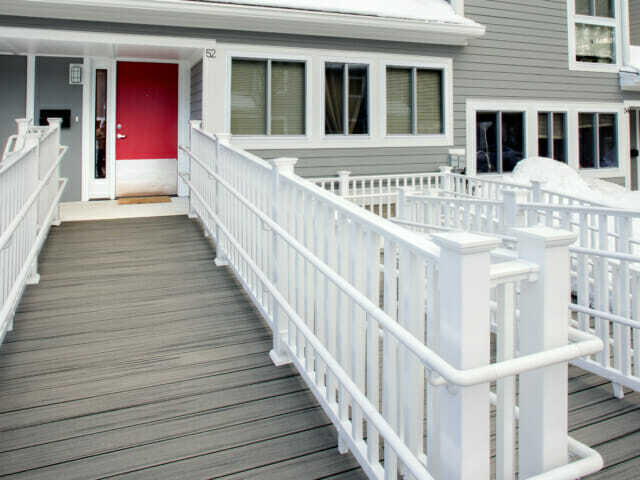 The unit now meets all the Massachusetts accessibility requirements and was designed for the specific needs of Abbi, the teenage son who lives in the townhouse with his parents and siblings. The first time I came across an oversized chair was during my bariatric consultation appointment in 2013. At the time I weighed 300 lbs and was an expert at knocking things over thanks to what my grandfather would have referred to as “womanly hips.” For the first time in my life, a piece of furniture could hold my weight and was designed to do so. At restaurants, I used to strategize my seating arrangement based on proximity to adjacent tables to not disrupt others when I stood up. There were plenty of times where I got stuck in armed chairs, theatre seating, and even rollercoaster seats due to my large frame. To those who think forcing people with eating disorders to use smaller chairs would encourage them to lose weight, guess what? It doesn’t. If anything, it makes us eat more out of stress. My lifestyle was in no way healthy, but it was comforting to know that the world could accommodate me as I was and not constantly berate me with strictly Lilliputian objects. 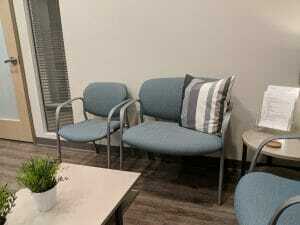 These chairs (referred to as bariatric, oversized, or extra wide) have seen a boon in the healthcare industry since and seem to pop up wherever I go. My most recent encounter was during a routine doctor’s appointment last week. This time I weighed 195 lbs – I discovered my ability to knock things over was due in part to genetic clumsiness. Though I lost all that weight, I still feel as though I need to maneuver carefully around people and things. After 15+ years of being overweight/obese, it became muscle memory. I found myself sitting in the oversized chair the minute after I checked in. This time I was delighted to be able to see the fabric beneath me rather than being completely eclipsed by my thighs. These chairs should not be pigeonholed in the medical field. It unintentionally creates an identity as being a “sick person’s chair” or a “fat chair.” By providing these seats in more social/cultural environments (i.e., restaurants, cafés, museums, libraries, etc. 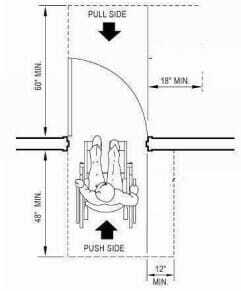 ), it facilitates more interaction between “the obese” and “the skinny.” It becomes more than a chair; it becomes a welcoming invitation to exist within the space. I’m a great shopper, and thanks to the web, most people are. With so many choices, and so many retailers online and in stores, getting exactly what I want, when I want it is easier than ever. In the rare instance when I do make a bad purchase, I can always return it or sell it to someone else. However, this is not the case when it comes to purchasing mobility equipment. Shopping for mobility equipment is extremely stressful and unpleasant. So far, I’ve run into a variety of problems, big and small. I’ve outlined three of the most common challenges in this blog post. The usability, comfort, and fit of mobility equipment are critical. I’ve had good experiences when I’ve been able to test equipment out before purchasing it, and stressful experiences when that has not been possible. In high school, the first mobility equipment I had was a pair of forearm crutches. Fortunately, I was able to go to a local drug store, test them out, and purchase them on the spot. When I began college, my mobility had declined, and I needed to purchase a mobility scooter. My doctor’s office coordinated a presentation with a scooter vendor, so I was able to view several different scooters. After comparing them, I chose the one I liked best and compared prices online. I was able to buy the model I wanted, new and heavily discounted, online for about $500 less than the vendors were offering. The most challenging thing about having a scooter has been transporting it independently. In college, I drove a sedan, which meant that I could not transport it myself. As my mobility got worse, I decided it was time to find a solution where I would not need to rely on others to put my scooter in my trunk. My solution was to find a lift that I could put in an SUV to do the lifting for me. It took three different cars, two different lifts, lots of money, and lots of frustration, to find a solution that works. All this happened because there is no way to test lifts in vehicles without installing them, and there are no “demos” anywhere to test out. Today I have a satisfactory solution that involves a ramp instead of a lift. The cost of mobility equipment is high and is rarely covered by health insurance. 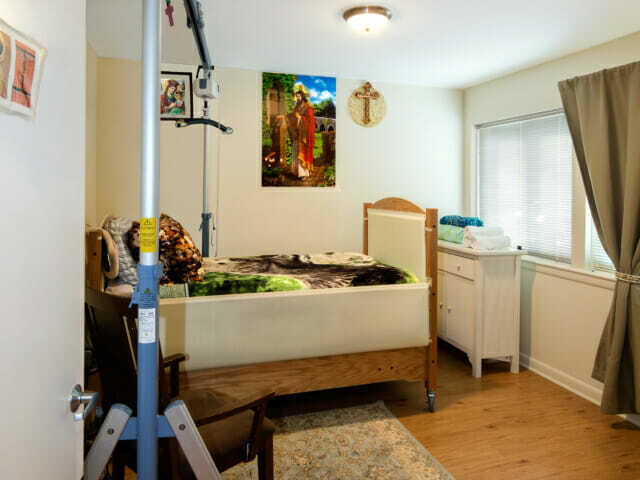 Medicare usually covers 1 piece of mobility equipment per person, but as you can imagine, this is not enough it you want to get around, get in and out of your house and get in and out of your car, because heaven forbid your mobility needs are different indoors and outdoors! I’m more than a few decades shy of qualifying for Medicare, so I have had to navigate the private insurance market. Even after upgrading to one of the most deluxe (and expensive!) 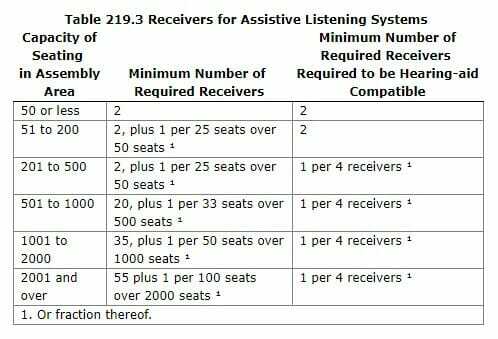 insurance plans, I’m still forced to pay out of pocket for all my equipment. As someone with an evolving disability, my mobility is sometimes better and sometimes worse. This means that sometimes I need new equipment and sometimes I need to get rid of my old equipment. A few years into college, after two years of daily use and countless potholes, my “new” scooter was beginning to fail. Its “One-Year Warranty” had expired, so I had the choice to either fix it or buy another one. I chose not to look at used scooters because it was difficult to find something of decent quality that was still under warranty. I ended up buying another new scooter on SpinLife, the same website I used to buy the old one and have been pleased with it, even after two years. Till this day, however, I’m still trying to get rid of the old scooter, and no matter how much I discount it, it appears that nobody is interested because it’s used. I’ve had the scooter listed on Craigslist for over a year, and at this point, and I think I will donate it. Organizations like MassMatch and MedShare allow people to donate used mobility equipment to people in need both locally and internationally. The REquipment program at MassMatch gives people access to a diverse inventory of high-quality used equipment, all at no cost. For more information about recycling used mobility equipment, the Wheelchair Foundation provides a list of organizations that can help. My primary goal in writing this post is to educate others about shopping for mobility equipment and perhaps save someone the frustration I went through during my trial and error. My larger goal is to start a conversation about how to improve the experience of shopping for mobility equipment and ensure more people get what they want for a fair price. The first time I used my scooter in the snow was an experience I’ll never forget. I was a sophomore in college, heading back to my dorm after class when suddenly, what started out as little fluffy flakes, quickly became white-out conditions. As I turned up my dial to accelerate, I realized that no matter how fast I was going, my little scooter would be no match for the slushy 1.5-mile trek ahead of me. I was halfway up the hill leading to my dorm when my scooter got stuck. As the wheels spun in place, I remember thinking “why don’t I live somewhere warm?” Luckily, as I pulled out my cellphone to call public safety, two generous strangers walking by gave me a push, and within minutes I was safe and warm inside. 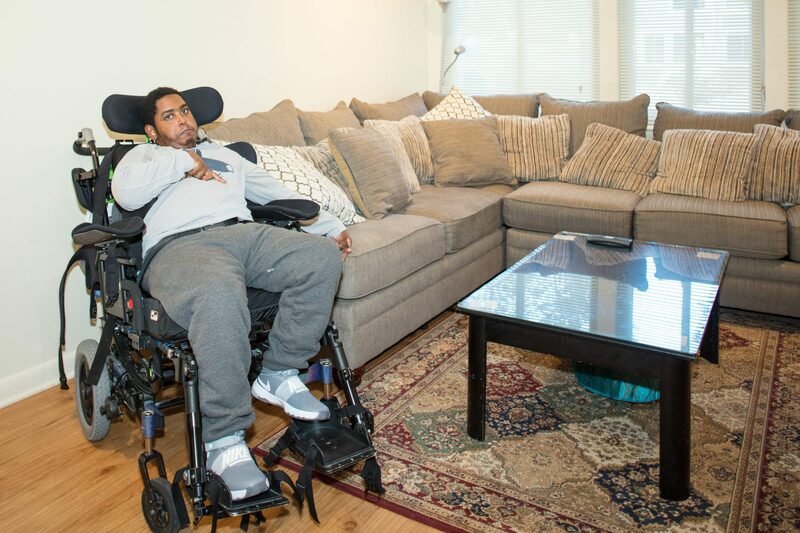 Although the experience was frightening, it’s nothing compared to what other people with mobility challenges face in cold weather situations. For some, being stuck can be the difference between life and death. Since that experience, I make sure to plan ahead during inclement weather, and so far, I’ve been lucky not to repeat it. 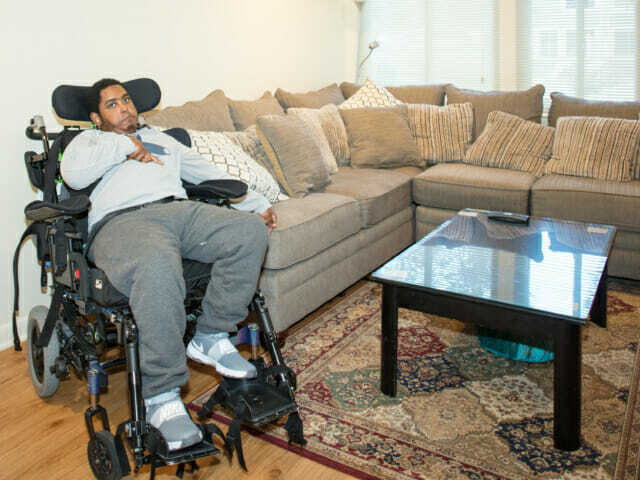 Although I have the privilege to control certain variables, like bribing my little brother to shovel out my car, or having my dad carry me across our icy driveway, many people with mobility challenges rely on variables outside their control to stay safe. When sidewalks are not plowed, or when snowbanks create impenetrable barriers at curb cuts, living independently can be a challenge. 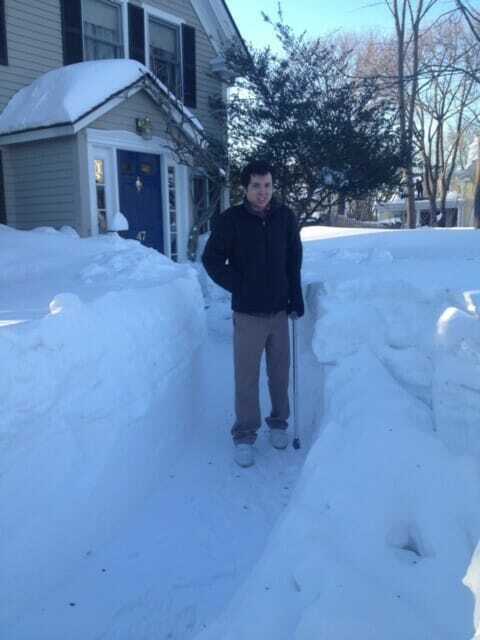 Max, supported by his cane, standing in a shoveled path with 42″ of snow on either side. In the city of Boston, property owners are required to clear a 42-inch-wide path (or the full width of the sidewalk) within three hours after a snowstorm ends (“Rules on Clearing Snow”). If Massachusetts property owners are unsure about their obligations, they can view a “Sidewalk Snow Removal Map” which indicates whose responsibility it is to clear the sidewalks within each community. Additionally, Boston residents can use the Bos: 311 app or call the mayor’s hotline at 617-635-4500 to report sidewalks that haven’t been cleared. Although communities in the snow belt will eventually remove all the snow from city streets, including sidewalks and curb cuts, people with mobility difficulties often need help in the critical window between when the first flakes fall, to when the dust finally settles. Unfortunately for people living in Boston, there are limited resources to get help during this window. The consensus is that people in need of snow removal should reach out to neighbors and volunteer programs. 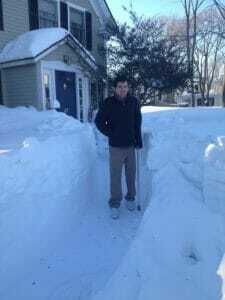 In Boston, for the 2017-2018 winter season, I was only able to find one snow removal program, the “Snow Angels,” which will remove snow on demand for the elderly and disabled in South Boston. Hopefully, with more awareness about snow removal and more volunteer programs to help the mobility challenged, people and communities will take it upon themselves to help each other and create a safer place. “Rules on Clearing Snow.” Boston.gov, 4 Dec. 2017, https://www.boston.gov/departments/311/rules-clearing-snow. 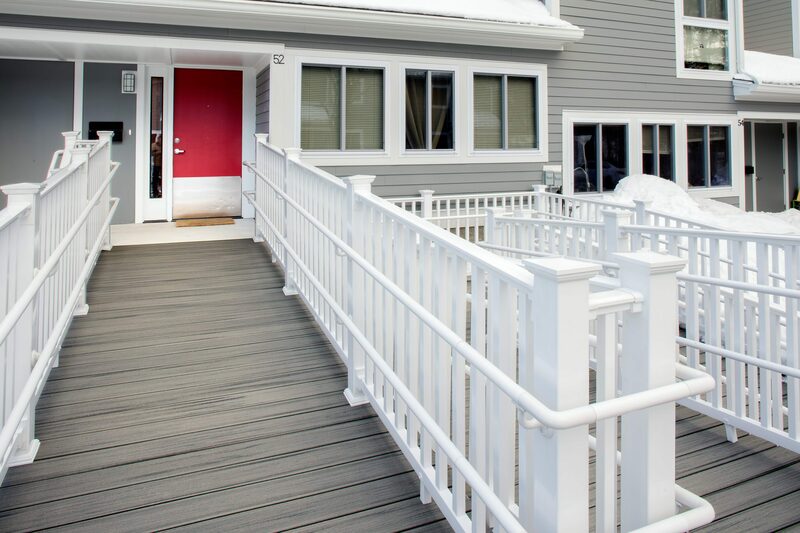 Often doors and gates that are part of an accessible route through outdoor areas do not provide required maneuvering clearances. Further complicating matters, when there is an intercom or key fob installed, the required adjacent clear floor space may not be provided. 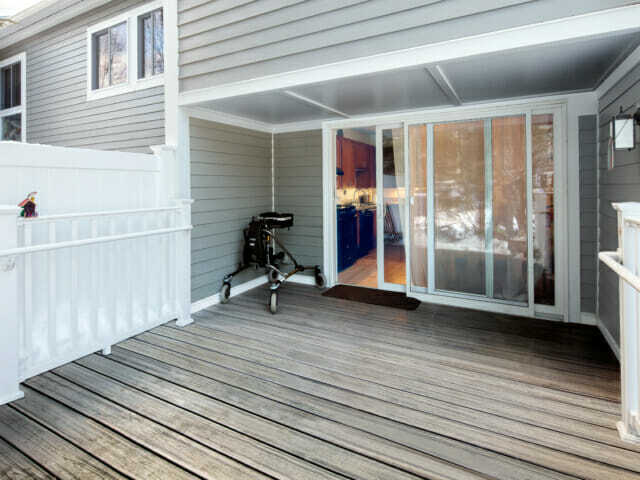 Doors and gates require a minimum 18” maneuvering clearance on the latch pull side of the door. Code graphics typically show a 60”x 60” ‘box’ to identify the required maneuvering clearance area. 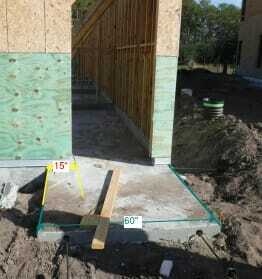 When walkways are 60” wide, it may seem like the 60” ‘box’ will be provided and meet accessibility requirements. 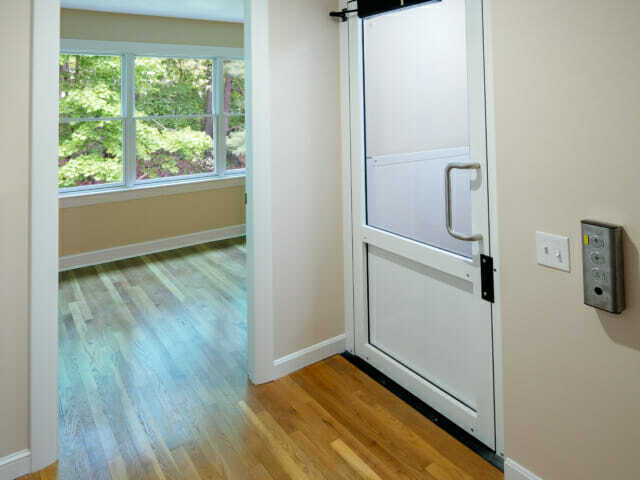 However, the door is typically not framed all the way to one side and therefore the minimum 18” is not provided. 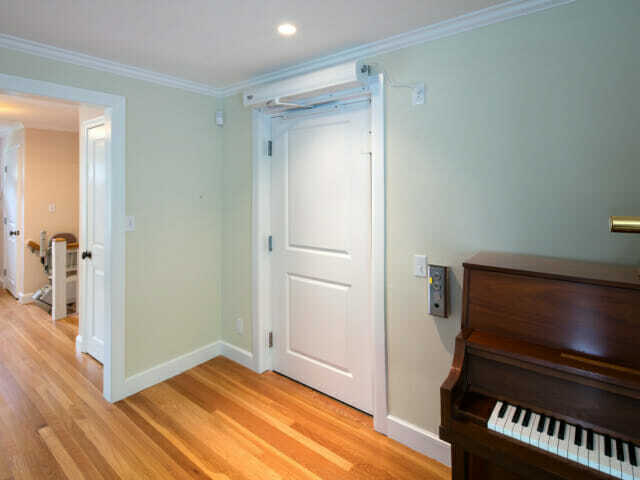 If the entrance to the building requires the use of key fob or intercom, the controls require an adjacent level and clear floor space (minimum 30” x 48” dimensions). Sometimes the concrete/brick walkway does not extend far enough to the side to accommodate the required clear floor space at the controls. 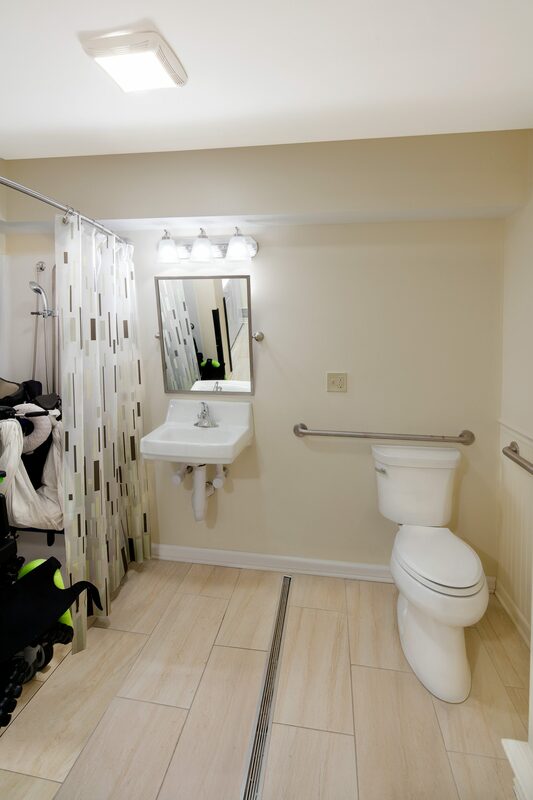 Providing the required clear floor space enhances access for everyone. These non-conforming conditions are frequently identified, and changed, during plan reviews before the start of construction. Failing that, early construction site visits, ahead of the installation of the final hardscape materials, provide another method of reducing these costly construction errors. 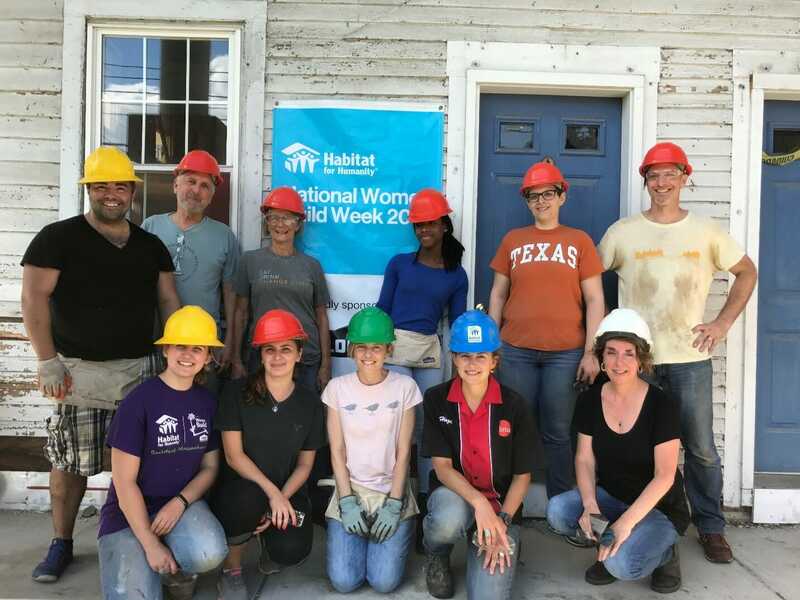 This past July KMA staff traded in their smart levels for power tools to help build affordable housing with Habitat for Humanity Metro West/ Greater Worcester. KMA’s summer outing took place at the affiliate’s Northborough job site located at 33-35 Main Street. The building, a circa 1800s general store, is being transformed into an affordable 2-family home with an accessible unit on the ground floor. The day started off with a meeting about the project and an introduction to the regular volunteers. We then split into several groups to help tackle different parts of the project. Some staff members worked on hanging floor joists; others worked on digging footings in the basement; a couple of us laid subflooring; a few even knocked down an exterior wall that needed replacing. With some guidance from the regular volunteers, KMA staff completed quite a few tasks. By the end of the day, everyone left feeling tired but accomplished. It was exciting to learn and participate in the carpentry skills we often see in the field. The approaching holiday season is an appropriate time to reflect on the past year. KMA is grateful to have had the opportunity to spend a day with Habitat for Humanity creating affordable housing in our local community. Habitat for Humanity is a nonprofit that builds houses with people in need of affordable housing and then sells the homes to families with 0% interest rate mortgages. These homes are available for purchase by families living within 30 and 60 percent of the Area Median Income who are willing and able to become homeowners, partner with Habitat, and provide 400-500 hours of “sweat equity” working on their future homes, or another Habitat project. 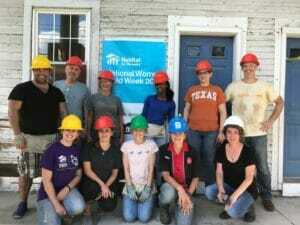 If you would like to learn more about this project or support it with time or monetary donations, please visit the build page on Habitat’s website. 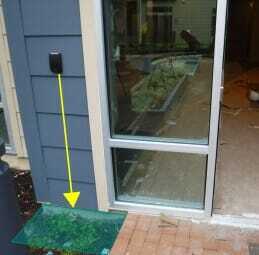 Costly problems are often encountered during construction when designs provide only the minimum required clearances. Bathroom layouts can be particularly tricky. 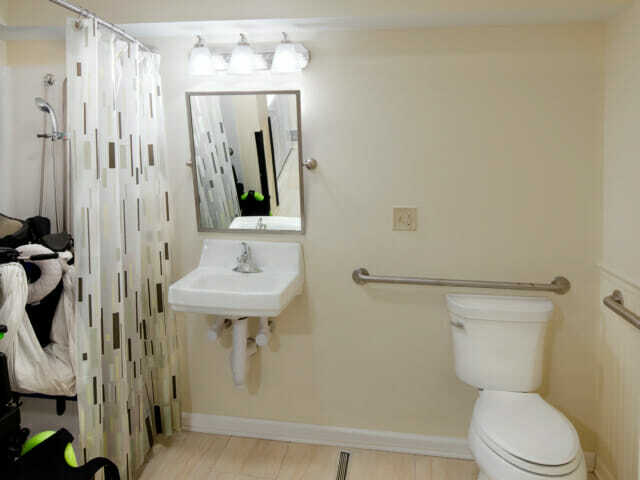 When designing a bathroom layout, consider the graphic place holder used for fixtures. Confirm that the dimensions of the toilet graphic match the actual dimensions for the specified toilet. The graphic image and photo, included here, illustrate the type of fixture placement issue that can occur during construction. The architectural drawings show the bathroom layout with just enough clearance at the shower; a minimum 30” x 48” clearance adjacent and perpendicular to the shower control wall. However, during a recent construction site visit, I discovered that the location of the toilet will overlap the required clearance by 6”. 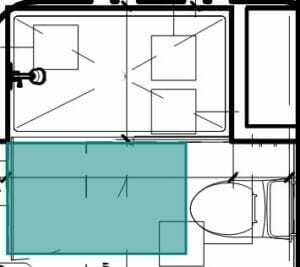 Since this condition was identified early in construction, the redesign of the bathroom may be less costly than if discovered in later phases of construction or at project completion. 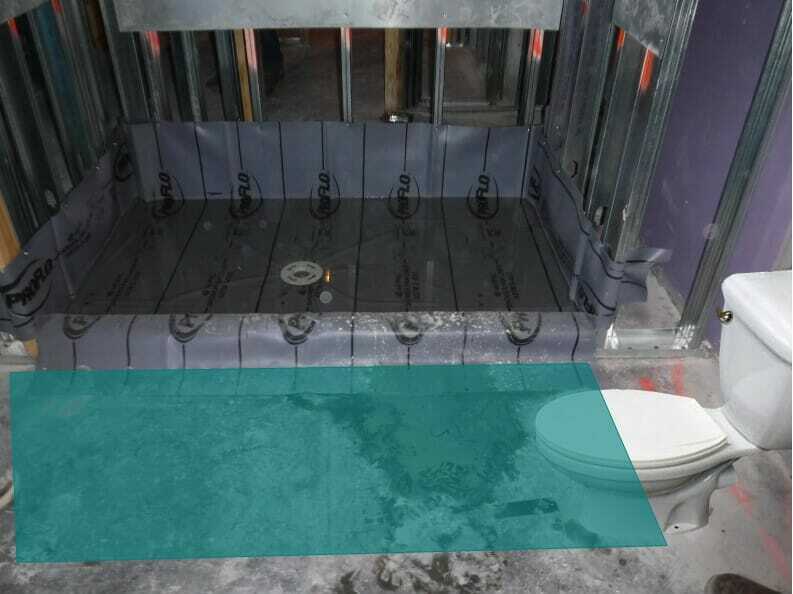 Verifying specified toilet dimensions when designing and including early construction site walks in your planning are two ways to prevent costly construction fixes.